I love finding inspiration for new recipes from different cultures and international cuisine. Since I don’t get the opportunity to travel as much as I’d like to these days, cooking with different flavors is a fun way to feel like you’ve been transported around the world for an evening or even just a meal. Whether it is a modern matcha cake using green tea from Japan or a contemporary twist on the classic German Black Forest Cake, there are always new recipes to try from around the corner to across the globe. 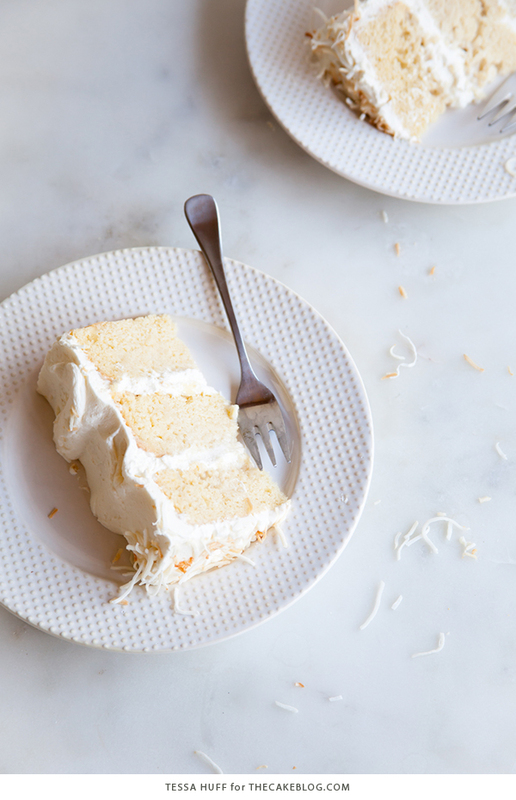 The Latin American dessert, the Tres Leches Cake, inspired this culinary creation. It gets its name, meaning “three milks,” from the tree different types of milk that the cake is soaked in. 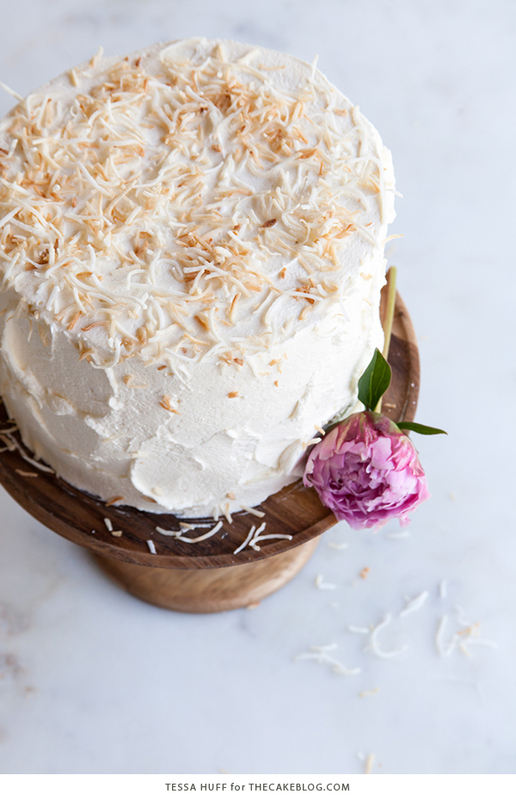 This version in particular is of the coconut variety, calling for full-fat coconut milk in the cake and as a replacement for the heavy cream in the milk soak. 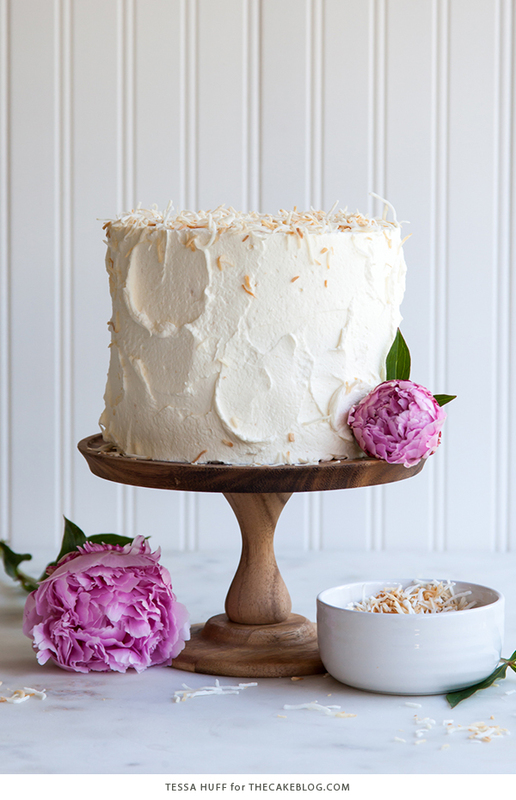 Top the assembled cake toasted coconut flakes, if desired! This type of cake can typically be found as a sponge cake baked in a sheet pan, but I decided to transform it into a layer cake. I do love the idea of a party cake served in a big sheet, but layer cakes can be equally fun to share and a bit more glamorous, don’t you think? 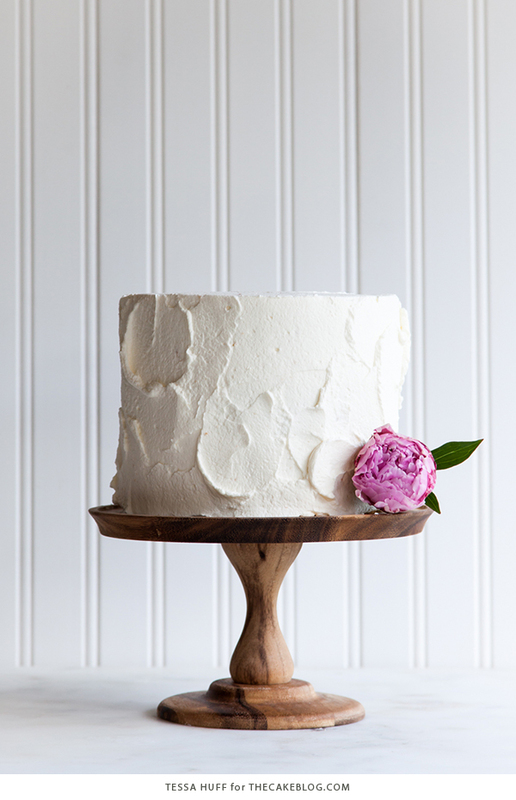 Instead of working with layers of sponge cake, I’ve used a butter cake that has been lightened up with egg whites. Once soaked in the luscious milk mixture, the cake layers become extremely moist, decadent, but slightly on the heavy side. Instead of a rich, thick frosting, stack the soaked layers of cake with clouds of whipped cream. A bit of leftover condensed milk from the soak helps sweeten up and stabilize the cream. 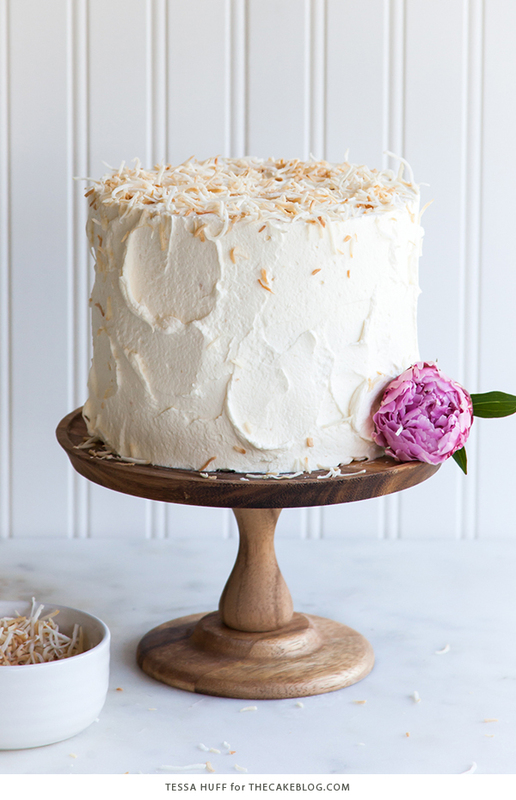 The toasted coconut flakes add great texture and contrast against the swirls of fluffy whipped cream. Pre-heat oven to 350 degrees. Grease and flour three 6-inch round cake pans and set aside. Using an electric mixer, beat the butter until smooth. Add the sugar and increase the speed to medium-high. Continue mixing until the butter and sugar are creamed together. The mixture should be light and fluffy. With the mixer on low, add in the vanilla extract followed by the egg whites. Slowly pour in the whites to help the batter absorb all the liquid. If the batter curdles, add a couple teaspoons of the flour mixture to help bring it back together. Stop the mixer and scrape down the sides and bottom of the bowl. In alternating batches, add in half of the dry ingredients, followed by the coconut milk, then the remaining dry – mixing on low in between. Mix until the batter is thoroughly combined. Evenly distribute the batter between the three pans. Bake in a pre-heated oven for about 25 to 28 minutes, or until a toothpick inserted into the center of the cakes comes out clean. Let cool on a wire rack for about 10 minutes before removing the cakes from their pans. Place the still warm cakes each on their own plate. Trim the tops then prick all over with a fork. While they are still warm, pour the milk soak (recipe to follow) over the tops of the cake. Gently cover with plastic wrap, refrigerate, and let the cakes completely cool while allowing the milk to soak in. While the baked cakes are cooling on a wire rack, whisk together the three types of milk until combined. Using an electric mixer fitted with a whisk attachment, begin whipping the chilled cream on medium speed. Once the cream begins to thicken slightly, and the condensed milk and increase the speed to medium-high. Continue to mix until medium peaks. Add the coconut extract (is using) and mix until medium-firm peaks. Use a gentle hand to fill and frost the chilled cakes with the whipped cream (see notes). 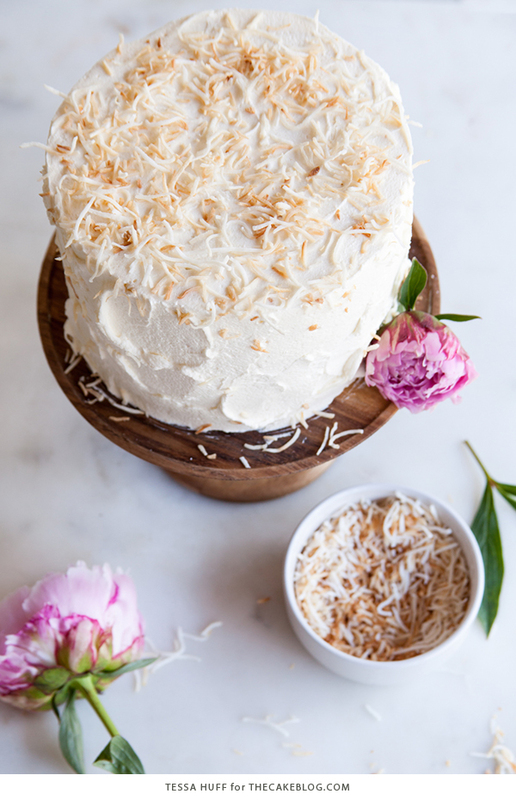 Top with toasted coconut flakes, if desired. Prepare the milk soak just after the cakes come out of the oven. The cakes will absorb the liquid better if they are still warm. Be sure to whip the cream into perfect peaks – not too soft and not over-whipped and grainy. If too soft, the filling may start to squish out between the layers of the some-what dense cake. Use a gentle hand and try to not over-work the whipped cream or it will start to break down. Refrigerate before serving/slicing to let the whipped cream chill and set-up a bit. I’ve never seen tres leches cake baked as anything other than a sheet cake before, it looks fantastic as a layer cake and I imagine it is seriously delicious! I could go for a slice of this bad boy right now! Looks amazing! This cake looks so delicious! 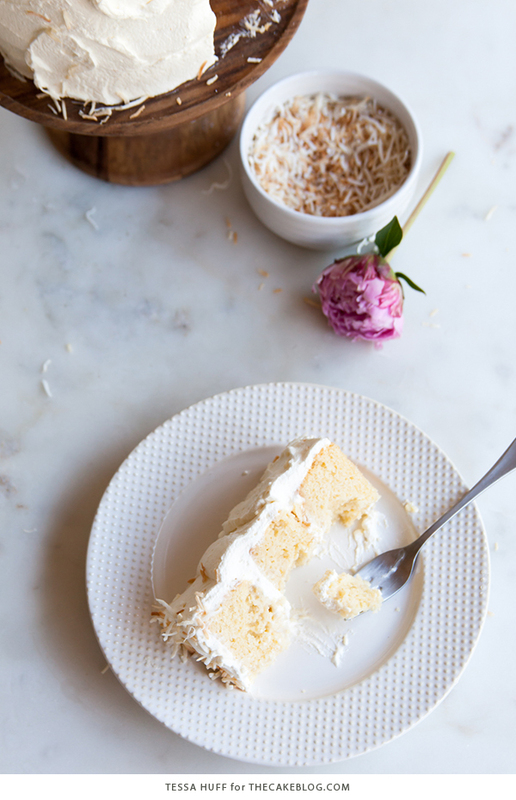 Tres Leches cake is one of my favorites! Ohhhh man does this look good! I bake my tres leches cakes this way all the time! I make a similar one but I call it Pina colada, as I add crushed pineapple and u garnish it with maraschino cherries and almonds! Yum! Do you add the pineapple to the layers or the filling? I just made this cake and they fell in the middle. Baked it longer than said, but no use. The cake tastes good though. To bad I have to throw it out, a waste of good ingredients. I need this cake for my daughter wedding. Oh my, this looks and sounds delicious. One question, as far as the “milk soak.” It doesn’t seem like very much to soak into each cake? Usually there’s much more “milk soak” in a recipe. Doesn’t seem enough to cover 3 layers. I’m making this as a birthday cake for ME!!!! Your instructions say to sift together the dry ingredients so i did but then the next step says to mix the egg whites with the sugar. WHHYYY??? :'( Now I don’t have enough sugar to start again. Isn’t sugar a dry ingredient? I meant Butter not egg whites. We’ve updated the recipe to make this step more clear. Typically, sugar is not included in the “dry ingredients” of a cake recipe but we should have been more specific to reduce any confusion. My apologies. I hope you’ll give it another try sometime. Hello! Is it possible to make this cake one day earlier before serving it another day? Btw, the cake looks WONDERFUL!!! I always make my tres leches the day before in the, and pop it in the fridge to make sure it soaks up all the milk. Then I “frost” it right before I serve it. I’ve had a bad experience with the whip typing getting sucked into the cake. I’ve made this cake twice already and both times it was absolutely delicious! So much so that I want to make it for my wedding! Would you be able to tell me what the proportions need to be to make this into a larger cake? I just made this cake, and it fell in the middle. I baked it longer just to make sure, but to no avail. A waste of ingredients. Is it possible to make this cake with 8 inch pans instead of 6-inch? The recipe for the whipped cream calls for 1/4 condensed milk, but it doesn’t specify 1/4 what. I’m assuming 1/4 Tbsp?